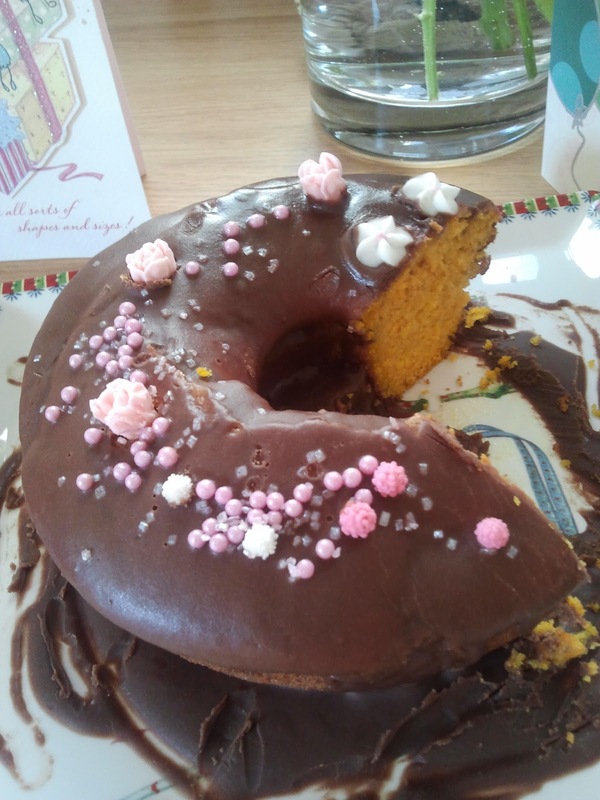 There was a cake on the table – this is a picture of the beautiful cake that my childminder baked with my two girls this afternoon. I can’t explain how excited they were about the cake; the fact that they had baked it, that it had pink flowers on it and most important of all, that we were going to eat some of it. My childminder, let’s call her Silvia (in the spirit of an anonymous blog) had also bought fresh flowers and a beautiful bracelet for me. On top of that, as it’s my almost-four-year-old’s birthday on Saturday, she had presents for her too. She’s been with us for nine months now, and of course there were inevitable ups and downs at the beginning as we all became used to one another. There were times when I thought she’d never come back, as she left our house exhausted and low in spirit after a day minding three small children in a small house with rain beating against the window and crankiness setting in early. In time, she settled in and we settled in and it all got better and better. But it was really only when I watched “A Breach of Trust”, the creche exposé on Prime Time last week, that I realised how lucky we are. My childminder is kind, gentle and loving to my children. She is softly spoken by nature, she never shouts at them. She holds their hands, kisses them, cuddles them, chats to them. She sits and reads stories to them, draws pictures, and bakes. She is more patient with them than I am, and while they’re not always as nice to her as they should be, they miss her when she’s away. She’s not Mary Poppins, but I’ve reailsed that I’m OK with that. And actually, I think I’d find Mary Poppins irritating after a while.